You can't always be glued to your laptop keyboard-- you've got to be out on the town, collecting material. But for the avid blogger, it can be hard to manage both. That's where these apps come in. You're probably beyond the basics, so this list won't include the obvious ones, like the apps made by WordPress and Tumblr that are just mobile-friendly versions of their websites. Instead, I've chosen to include the things you might not have thought of. If you use them right, these apps will bring your blog's quality to the next level. Don't think of your smartphone as a miniaturized computer-- instead, think of it as a unique tool that you can use to make your blog really shine. 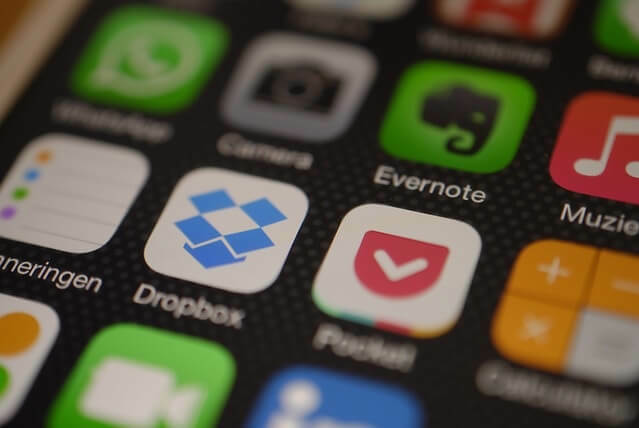 Here's a list of five great mobile blogging apps to get you started. First, though, I'd like to thank Seogupshup.com for having me. If you're an up-and-coming travel blogger, I particularly recommend this post on getting started writing about your adventures! Evernote Everyone and their uncle has been bugging you to use Evernote, and they're completely right. This app, whose main purpose is to sync information across devices, has hit that sweet spot where simplicity and functionality collide. Notes, which are essentially simplified MS Word documents, can be organized into Notebooks, which can then be accessed from any device that you sign in from. Evernote's no-fuss word processor is perfect for designing posts, but when you're on the go, you can also use it to write yourself quick notes and reminders about any great ideas you have. Then, when you're back at your keyboard, you can pull it up and have a detailed account of exactly what you were thinking during that flash of brilliance at the grocery store. And no more losing pocket notebooks! (Or is that just me?) Evernote also has a unique feature that continues to wow me-- if you take a photo of text and upload it to Evernote, it will "read" the text and you'll be able to search for it later. If, for example, you take a picture of a local business's storefront, you can find it later by searching for the name on the sign. This is really great if you're a blogger who posts a lot of pictures, and you have trouble keeping track of all the photos you take. If you're not already making use of photographs in your blogging endeavors, maybe you should start. Images really grab readers' attention, it opens you up to Instagram, and it makes Tumblr users more likely to re-blog your posts. (More on this later!) Hootsuite Hootsuite is a popular service that consolidates your social media into one dashboard, so you can post to Twitter, Google+, and Facebook all from the same window. Hootsuite is going to be mentioned on any list of blogging advice, but I think it's particularly indispensable for the blogger on-the-go. Why? It allows you to schedule Twitter posts. It's no secret that Twitter is intensely popular, and one of the key places that bloggers expand their audiences and grow their brands. But to use Twitter to the fullest, you have to be tweeting all the time, or even the most perfectly-crafted update will get lost in the onslaught of posts. With Hootsuite, you can take a break from your blog to get some fresh air without losing Twitter real estate. Or, it can work the other way around: you might be out and about and think of something great, but maybe it's 1 AM on a Wednesday, or most of your readers are in a different time zone. You can schedule your tweets so that they hit your target audiences at the best times, for maximum impact. Pocket If you love something enough to blog about it, odds are that you spend a lot of time thinking about it. Reading about it. And the other day you saw a great news article that would be perfect but-- where did it go? Pocket is a smart bookmarker, allowing you to save posts and access them later, even from a different device. If, for example, you're reading something on the subway that would be perfect for your blog, you can save it and come back to it from your laptop when you have the time to write about it. All bloggers, even the most prolific, struggle sometimes to find content. When writer's block inevitably strikes, Pocket can be a valuable source of ideas. 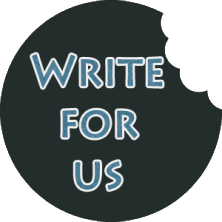 Save something that piques your interest, and write about it... whenever! Mindmeister Mindmeister is a brainstorming program, which allows you to make and share mind maps with others. 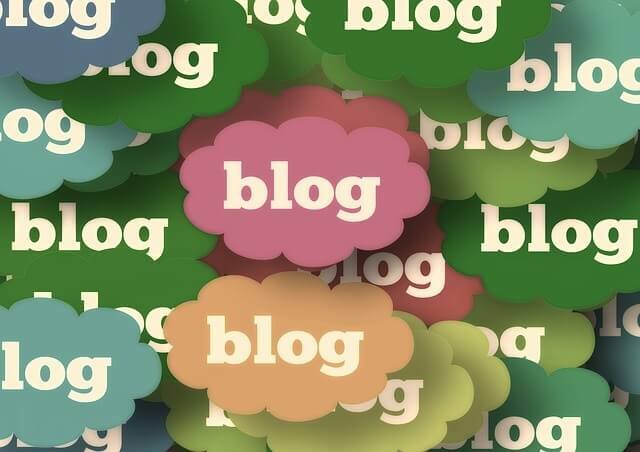 Collaborative blogs have their advantages and disadvantages, and one of the tough parts can be making sure that everyone is on the same page, especially if you're in different locations. Mindmeister solves this problem, allowing you to edit mind maps to share with your team during a Skype call, or at any other time. This is, of course, in addition to the obvious benefit of mind-mapping itself, which helps you create and organize ideas in an effective and efficient way. Mindmeister is worth trying, whether you blog with a team or by yourself. Phonto I mentioned, while discussing Evernote above, that photos are a great way to engage audiences. Nobody likes a wall of text, and certain popular social media sites (like Instagram and Tumblr) are entirely or mostly based around photos. For maximum impact, your unique photographs should lead people back to your blog, even when it's being shared all over. Phonto is an app that allows you to easily add texts to photos, so you can add your blog's URL to the pictures you take, ensuring that anybody who sees it can go right to the source. You're out doing something great-- how about you share it ASAP with your readers, so that they can pass it along? Add a quick and subtle watermark, and watch your audience grow with every like, re-blog, and share. What do you use? Here we've only covered five, so there are tons of great apps that didn't quite make the list. And of course, each blog is as unique as the blogger, so your needs may vary. 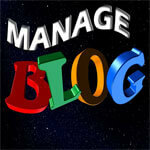 What mobile blogging apps do you find indispensable? Caroline is a technology enthusiast and blogger who writes for www.securethoughts.com She enjoys writing about technology and her main area of interest is internet security. Previous post: What is GPT Money Making Sites? How To Make Money With That!